Need to generate more leads, close more sales, increase revenue and profits? I can show any business owner, in less than 45 minutes, how to generate all the leads their business can handle and increase their annual revenue by £10,000 or more, WITHOUT spending a penny on marketing, or advertising GUARANTEED! Andrew McBarnett FCMA CGMA is an entrepreneurial professional accountant, with a proven 30-year history of successfully delivering strategic solutions to business issues across a broad breadth of organisations and market sectors. Andrew McBarnett is the co-author of the book “50 Ways To Increase Your Sales Today” which became an #1 Amazon bestseller in the United Kingdom, the United States, Canada, Germany and Australia. He has recently completed his second book entitled “45 Minute Business Breakthroughs – How I Find £10K In Any Business In 45 Minutes” and he intends to include case studies from his coaching programme in the second edition from businesses who take the £10k Challenge. 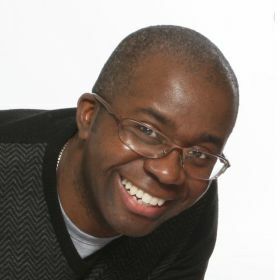 Andrew is a fully qualified Fellow Chartered Management Accountant who started his entrepreneurial career at the age of 29 having both co-founded and co-funded a company called MaxTag (UK) Limited. This business, which celebrated its 20th anniversary in 2017, grew from zero to 7-figures in one year and went on to achieve a turnover of £3M within 5 years. MaxTag’s success was featured on the front cover of the Security Surveyor magazine. Andrew launched his current business, AMB Associates Limited, in 2003. He is qualified in NLP (Neuro Linguistic Programming) and Sports Psychology has spent over 20 years successfully coaching companies and individuals to achieve their goals. As a Business Angel Investor and Consultant, Andrew has invested, led, transformed and sold a broad breadth of organizations in a variety of different market sectors. During this period, Andrew was invited to appear on the BBC’s second series of Dragons' Den, but had to decline as the business had since been sold to a major UK plc. Abbott Inc where he was part of a team that launched Clarithromycin, regarded as the most successful UK antibiotic launch of all time. At Panasonic he was responsible for a global budget worth $1BN. In the European Region he increased program profitability by 6% and his cost-reduction initiative was featured in the Institute of Directors publication IoD News. At Vodafone, he was part of the team that acquired Cable Wireless Worldwide for £1.04BN and under his leadership he returned 2/3rd’s of that business (worth £700M) back to growth by adding a 5.3% increase to revenue within its first year. This was coming after leading the integration into Vodafone and delivering synergies of £140M over three years versus the target of £98M. Andrew developed two 10-year business cases and implementation plans for Vodafone’s expansion into Africa and the expansion of Vodafone’s fixed and mobile network into the US market as part of their current growth strategy called Project Spring. He is an Associate Contributor to Six Figure Coach Magazine and Andrew has been featured in the IoD News, The BOSS, Better Business, The Association of Student Entrepreneurs as well as the Financial Management magazine. He was also interviewed for the ‘Be Your Best In Business’ podcast series by Innovate To Success and also for the Summit SCALE Vlog series. Andrew has held both NED and pro-bono positions such as Branch Treasurer for the IoD and for The Nicholas Mills Foundation, plus he was the Financial Accountant for BAPEN (The British Association for Parenteral and Enteral Nutrition). In 2018, Andrew was recognised as a Point of Light by the Prime Minister, Theresa May, for his contribution to charity. In addition to his charitable work, Andrew helps small businesses to accelerate their growth by optimizing their strategy. The input of an unbiased individual at our monthly board meeting was invaluable and assisted us make the correct strategic decisions for the business. The respect gained within Panasonic is a testimony of this ability. On a personal level, I have found his professionalism, integrity and honesty refreshing, to the extent that we became good personal friends. Andrew helped with the formation, registrations, systems, processes and the negotiation [with a major UK plc]. A truly worthwhile relationship and service. I was able to rely on Andrew's input and business acumen that allowed us to win a number of high profile contracts totalling hundreds of millions of dollars. His professionalism and business focus made him invaluable. Andrew's depth of understanding totally transformed the way we look at the business. Andrew became a colleague of mine when he was promoted to Finance lead for the Industry Verticals team at Vodafone Global Enterprise. At the time, my daughter was preparing for her A' Levels, but her projected grades would not have been enough for her to get into the university of her choice. Andrew kindly offered to spend a couple of hours with her teaching her how best to learn her course material and provided her with tips to improve her study. By the end of the session she confident and motivated and we saw an almost immediate improvement. She passed her A Levels and she achieved the required grades to get into her first choice university where she is now studying Geography. My daughter still uses the study methods Andrew recommended and has shared the techniques whilst coaching and mentoring other students. I highly recommend Andrew as both a finance guru who understands business needs and return on investment strategies and is also an excellent personal coach.